It’s raining, things are leaking, get the bucket out quick! 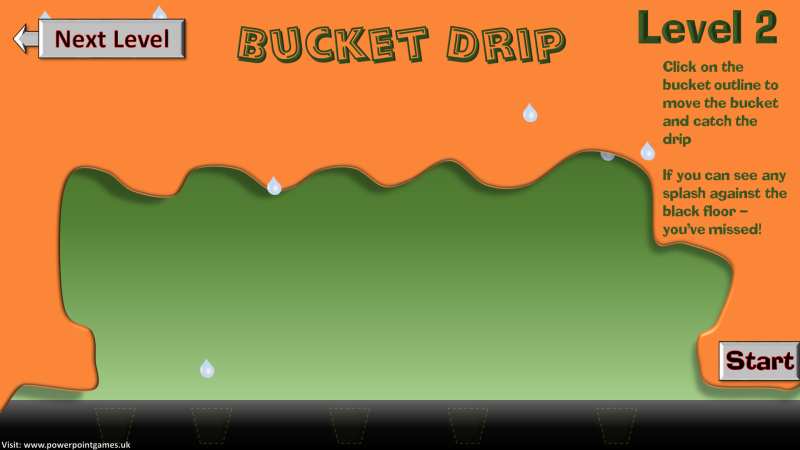 See if you can get the bucket to the drips in time before they splash on the floor. There are three levels to contend with, with some disconcerting extra drips here and there!